It may be tempting to avoid Scotland outside of summer; it doesn’t have the best reputation for weather after all. But, as we say goodbye to summer and approach autumn, here’s a few reasons why you may want to reconsider. 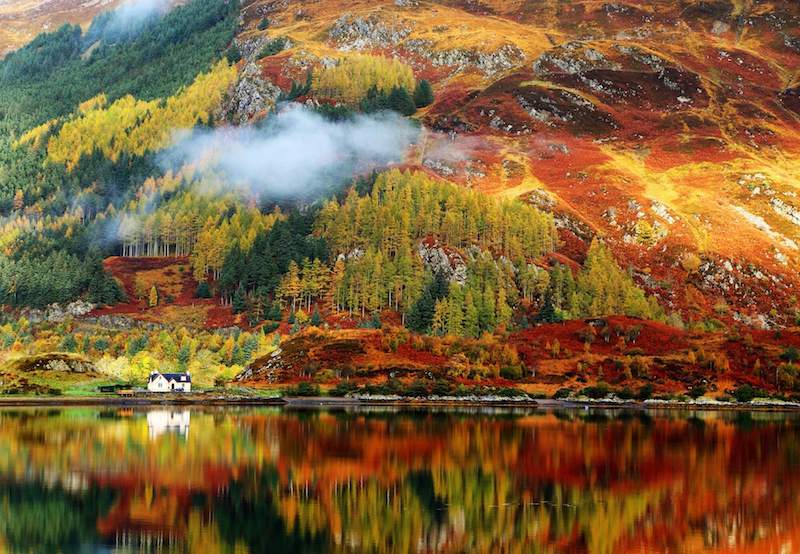 For one thing, autumn is a stunning season filled with colour, and with all its breath-taking landscapes, where better to experience the beauty than Scotland? It’s a photographer’s playground. You’ll also benefit from fewer people, quieter roads and greater flexibility as Scotland’s popularity means accommodation, campsites, and attractions all book up quickly in summer. There’s plenty to keep you occupied; here are just some of the autumn highlights. Home to over 200,000 acres of woodland and known as big tree country, Perthshire is the perfect place to take in the changing colours of autumn. The trees and woodland habitats are spectacular and offer endless opportunities for walking, whether you’re looking for a short stroll or a long, demanding hike. Just some of the highlights include the Hermitage, Lady Mary’s walk and The Enchanted Forest, an amazing light and sound show set amongst the autumn trees of Faskally Wood near Pitlochry. You don’t need to visit in autumn to see wildlife in Scotland, it’s home to a diverse array of animals year-round, but there are some sights you won’t see any other time of the year. One of which is the red deer rut. 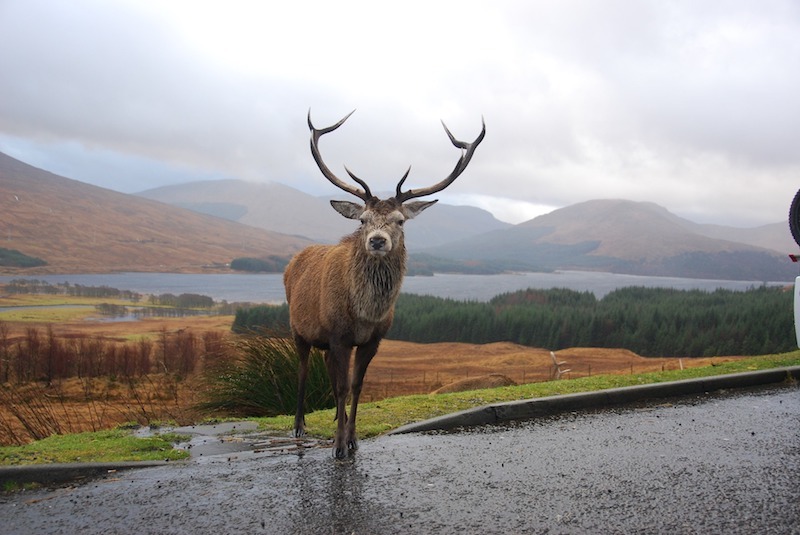 As the largest land mammal in Scotland, a red deer stag is an impressive sight and one you’re more likely to see in autumn as they move onto lower ground in search of food; in summer, they tend to inhabit remoter areas away from the eyes of tourists. Ruts, where males put on elaborate visual and acoustic displays to compete for dominance and females, take place September to November. There are many places you can go to witness a rut in action, but some of the best spots include the Isle of Arran, Isle of Jura, and the Isle of Rum. Red squirrels are also foraging for winter food stores on the ground in autumn, so are more spottable than other times of the year, while grey seal pups take over some the coastlines, and barnacle geese make their way to the Hebrides from the Arctic and Scandinavian countries for autumn and winter – there is plenty to see. One of the downsides of this time of year is perhaps the shorter days and longer nights, but in Scotland, it can be an advantage. It’s easy to get away from the crowds and artificial lights of the city, so is an incredible spot for stargazing; there’s even the chance of seeing the Northern Lights. If you’re in the Dumfries and Galloway area, you can take a trip to Galloway Forest Day Sky Park, the UK’s first Dark Sky Park, or there is also three dark sky discovery sites in the Glenlivet Estate in the Cairngorms National Park; the Isle of Skye is also known for its stargazing opportunities. No visit to Scotland is complete without a wee dram of whisky and with so many distilleries to choose from, you shouldn’t have a problem fitting in a visit during your holiday, no matter the time of year. 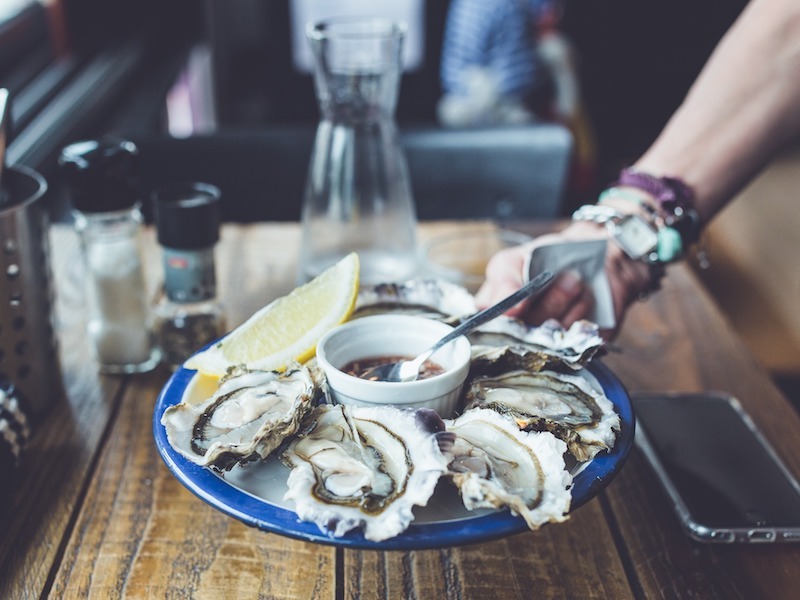 Visit in autumn though, and you can take advantage of lots of other in-season treats such as game meats, fruits including apples, plums, and pears, and oysters fresh from the sea. Scotland is known for its many castles and grand country properties – they’re a great way to spend a rainy day and learn all about Scotland’s chequered history and fascinating culture. As the nights get darker and the weather colder, why not find an old pub, curl up in front of a grand fireplace with a warming drink and soak up the atmosphere? It’s the perfect time of year for it. There are many reasons to visit Scotland in autumn, and providing you pack for the unpredictable weather, you’ll have an unforgettable time. There’s ample accommodation options, and you’ll have your pick in the quiet season, but why not think about exploring in a motorhome? You’ll benefit from home comforts and weather protection you wouldn’t get with a tent and a level of freedom you wouldn’t get from a hotel – what’s not to love? See our range of motorhomes for hire.